During this tour our tourists will explore all UNESCO Wolrd Heritage sites in Armenia which prove the centuries-old culture and life of this ancient nation, nation who first adopted Christianity as a state religion in 301 AD. Feel spirit of the centuries and acquainted with Armenian delicious and unique cuisine and brandy!!! The city tour starts after breakfast. Our first stop is Matenadaran which houses a huge depository of medieval manuscripts, books on various subjects such as philosophy, history, art history, literature, medicine, and cosmography in Armenian and many other languages. 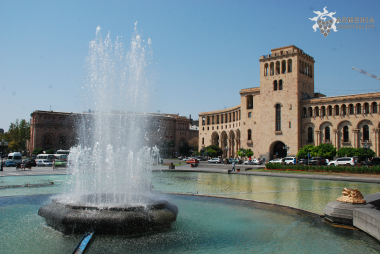 The trip continues to the Republic Square of Yerevan – Opera and Ballet House – Cascade – Baghramyan Street – and ends in Tsitsernakaberd also known as the Armenian Genocide Memorial Complex. It was built in 1967 on the hill of Tsitsernakaberd and is dedicated to the victims of the Armenian Genocide. Dinner and overnight are in Yerevan. After breakfast in the hotel we head to the Saghmosavank monastery. Saghmosavank is an Armenian monastic complex built in the 13th century and is located in the village of Saghmosavank in Aragatsotn Province. After lunch our destination is a 7th century fortress called Amberd. It is 2,300 meters (7,500 feet) above sea level, on the slopes of Mount Aragats at the confluence of the Arkashen and Amberd rivers. We also visit Byurakan village which is settled 6.4 km (4.0 mi) from Amberd. After that we drive back to Yerevan and spend the overnight and have dinner there. After breakfast we start our day by visiting the ancient monastic complexes of Hakhpat and Sanahin which date back to 10th century. The latter is included in the UNESCO World Heritage List. These astonishing samples of medieval Armenian architecture highlight the features of both the Caucasian architecture and Byzantine style. These stunning samples have always been popular with tourists. Haghartsin is another thrilling monastic complex which is situated not far from Dilijan town. This complex consists of three churches, two gavits, a refectory, a group of chapels and several khachkars (cross-stones). The most outstanding church here is Sourb Astvatsatsin which was built in 1281 and represents a cupola structure with a tall drum. The dinner and overnight are in Dilijan. After breakfast we drive to the Sevan. 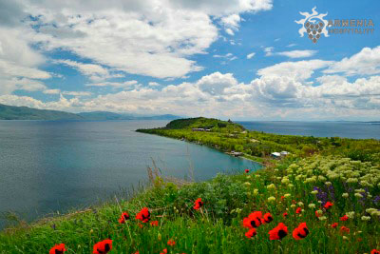 It is situated in Gegharkunik Province. This gigantic mountain lake constitutes up to 5% of the territory of our country. It is about 2,000m above sea level and is one of the highest freshwater lakes in the world. Here Sevanavank, a monastic complex, is situated on the northwest peninsula of the lake. Lunch is served in Sevan. Here you have the opportunity to taste famous Sevan sig barbeque. Then our trip continues to Noratus where medieval Noratus cemetery is located with a number of khachkars. It is 90 km north from Yerevan. The next stop is Tatev Monastery the way to which is through Selim Pass. Tatev Monastery is a 9th century historical monument and one of the oldest preserved monastery complexes in Armenia. Here you can see the famous Tatev Rope Way also called Wings of Tatev. It is a 5,7 km cableway stretching from Halidzor to Tatev Monastery. It is the longest ropeway in the world. The dinner and overnight are in Goris. After breakfast we head to Khndzoresk which is a village in the South-East of Armenia in Syunik Province. 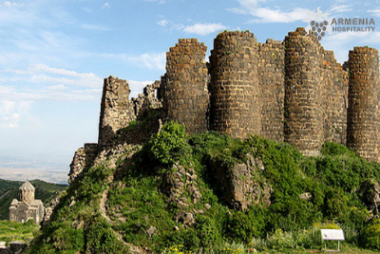 It is not far from Goris on the steep slopes of Khor Dzor (Deep Gorge), from which derives its name. On the way back to Yerevan we stop at Areni which is a small village in Vayots Dzor Province. It is widely known for its wine. Meal is served in a restaurant near Noravank. 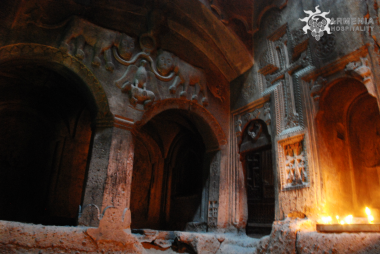 The latter is a13th century monastery which is 122 km from Yerevan and is in a gorge curved by the Amaghu River. There are stunning tall, sheer, brick-red cliffs in the gorge for which this gorge is famous. The dinner and overnight in Yerevan. After having breakfast in the hotel we drive to Geghard monastery. 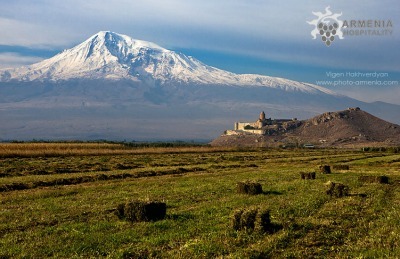 On the way to the monastery you can admire the stupendous view of Mount Ararat and Ararat Valley through Charents Arch. You can read the following words on the Arch “Pass the whole world with its mountains white, to the beauty of Masis equals none!” Geghard monument is another magnificent monument of medieval Armenian architecture which is also listed in the UNESCO World Heritage. It is partly curved on the side of a mountain. Lunch is served in Garni in the open air in good and warm weather conditions. Here you can take part in the event of baking traditional Armenian bread lavash in a tandoor. 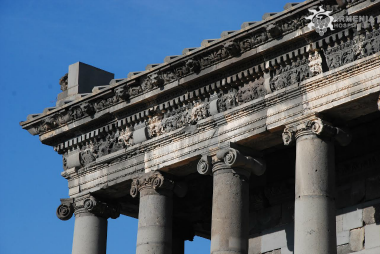 We also visit Garni Temple built in the 1st century by King Tiridates. It is dedicated to heathen god Mithra that was the god of the sun. After that we head to Tsaghkadzor which is a spa town and a very popular health resort in Armenia. Coming back to Yerevan we visit Vernissage, one of the most crowded places in the city. It is open on Saturdays and Sundays. It is an open air market where you can see a great variety of marvelous souvenirs. Here you can feel the Armenian spirit everywhere. That’s why it has become an inseparable element of the city’s cultural life. The dinner and overnight are in Yerevan. This day starts with breakfast in the hotel after which we visit the 7th century Temple of Zvartnots. It is included in the UNESCO World Heritage list. Not far from it Echmiadzin, one of the historic capitals of Armenia, is located. It is the major religious center of Armenia where the Echmiadzin Cathedral is situated. It is considered to be the most essential Armenian Apostolic church. 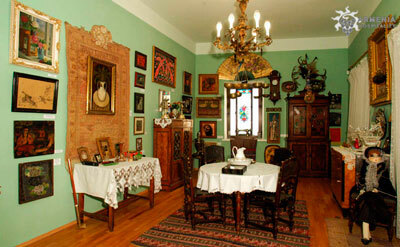 After lunch in Echmiadzin we head to Parajanov Museum which is dedicated to famous film director Sergey Parajanov. Returning to Yerevan we visit Gum Market, one of the most iridian places in the city. It is open from morning up to late evening. Here a great choice of fruit, vegetables, seasonings, meat, dried fruit, cheese, traditional Armenian bread (lavash), pickles, and more. The dinner and overnight are in Yerevan. After breakfast in the hotel our first visit is to the History Museum of Armenia. The museum has different departments devoted to Archaeology, Numismatics, Ethnography, Modern History and Restoration. It has over 400 amazing items. 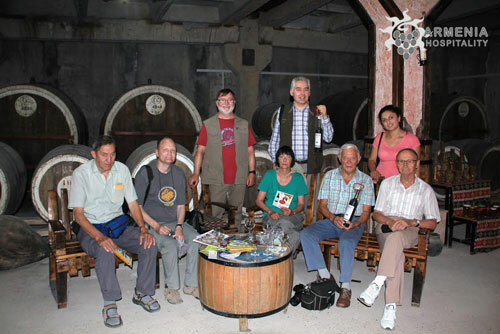 The next stop is Ararat Brandy Factory which is the major producer of alcoholic beverages in Armenia. Its brand name is Ararat after our biblical mountain. Walking around the shabby cellar you can see how brandy spirits are kept as well as nominal barrels and inhale the delicate aroma of the cellar. In the testing hall you can enjoy different kinds of brandy such as “THREE STARS” and “AKHTAMAR”. Then you can have lunch in one of nice restaurants in Yerevan. After lunch we visit Erebuni museum where you can see a unique “document” showing the date of establishment of the legendary fortress as well as the history of our olden capital from the very beginning. The stone slab that has withstood for 27 centuries is inscribed in cuneiform dated back to 782 BC. Then you have free time to enjoy the miraculous site. The dinner and overnight are in Yerevan.